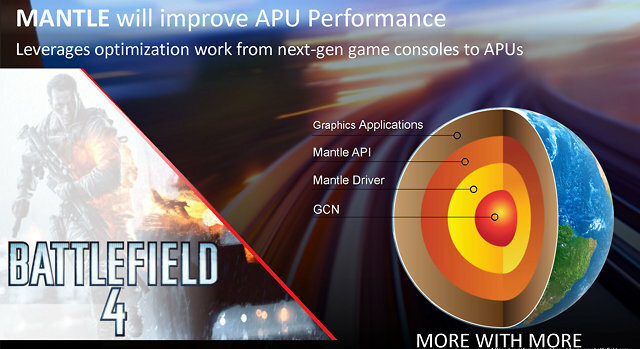 We received confirmation from a Swedish source that AMD’s flagship A10 Kaveri APU will come bundled with Battlefield 4. Considering that AMD’s APUs are already priced very reasonably this comes as a very pleasant surprise. The slide shows some very interesting things, to begin with it states that the Kaveri A10 will have a massive 40% lead over the Intel i5-4670k Processor in the Gaming Graphics department. This was determined with the 3DMark Firestrike Benchmark. 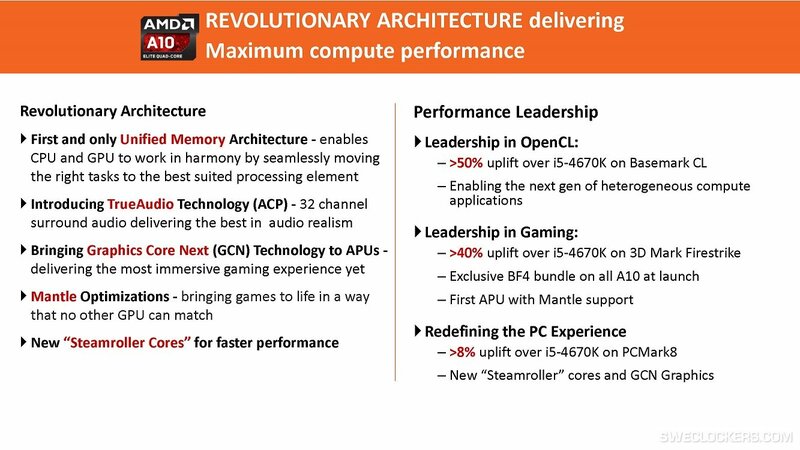 Secondly the Kaveri APU will also be 50% more proficient in OpenCL than the 4670k. So the golden question is is this the effects of Mantle? or are they yet to come? 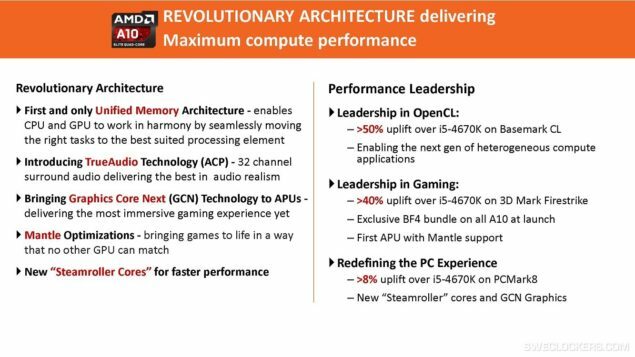 In any case AMD is certainly upping the level of their APUs in each generation, giving a very healthy production curve. It also appears that the Kaveri APU will ship with the Battlefield 4. Mantle Optimizations will supposedly make the game run better with less power requirements, while retaining graphical quality. Basically an efficiency increase. As you may already know Kaveri will feature Steamroller and GCN and also TrueAudio which we hear will be something to experience in games such as Thief. AMD’s Kaveri APU will definitely be a game changer in the PC industry bringing great performance to consumers on a budget with technologies such as Mantle, TrueAudio and powered with the Steamroller and Graphics Core Next Architecture. The Battlefield 4 bundle would be a great addition since it was already seen that the Kaveri APU packs enough horsepower to run the game at 30 FPS on 1080P resolution with Medium settings but you can always add a discrete graphic card to add in more performance to your setups.